Kanye West has always dreamt to find Yeezys on everyone’s feet. Hence, he increased the production rate on some of his most recent Yeezy Boosts. However, while Kanye might still be trying to make his dream come true, the upcoming Yeezy will not be available to all. Yes, we’re not kidding. After the over saturation of Yeezys, the Yeezy Boost in the Static reflective colorway is will be limited to only 5000 pairs. Finally, a sneaker that will bring back the Yeezy hype! 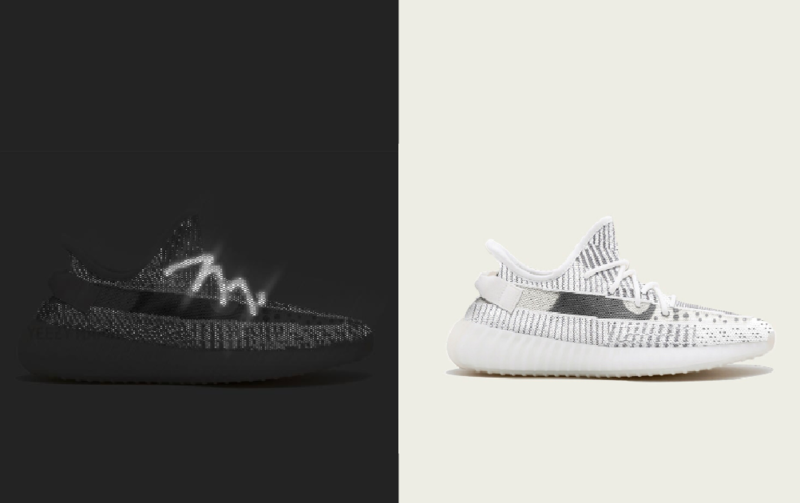 The first thing that makes the Yeezy Boost Static interesting is that is has a transparent stripe. This is a new feature in the Yeezy 350 silhouette. That means you’re gonna want to level up on your sock game when rocking the Static. According to the Yeezy Mafia, the Static will drop in two versions. One of them -the original- will have a worldwide release. While the other one, the one with the reflective material, will be limited to only 5000 pairs because it costs a lot to make them with 3M. This explains why there will be higher production on the iteration that comes without 3M. The now-infamous 3M reflective material was first used in clothing for safety purposes. The point was to create higher visibility of labor workers, especially by drivers at night. The material is also used in active-wear, running shoes, and most recently in these Yeezy 350 V2s! If you want to cop these bad boys, then prepare yourself with a sneaker bot, proxies, and servers because it’s not going to be easy. Meanwhile, the stock level of the Static minus 3M will be more general. But as you know, you never want to sleep when it comes to a sneaker you really want, because sizes do run out quickly. Good luck copping!